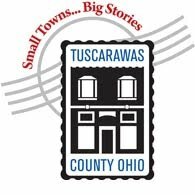 For the past several years I have had the pleasure of working with the Tuscarawas County Convention and Visitors Bureau as their photographer. 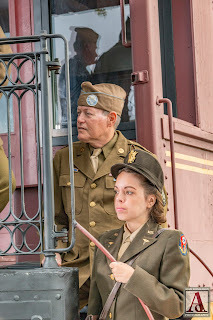 Through my tenure as their photographer I have had the opportunity to visit many sites throughout the county as well as many events capturing what makes them unique with my camera. Every year a decision is made on what the next years travel guide cover should be and what photographs would be included on it. Normally that's a process that involves the staff at the bureau and they choose different shots from over the past year to fit the theme. But for the 2017 cover, the director of the bureau wanted something different that would stand out and tell a story. Something we've never done before. And we had a big story to tell. Located in the south-east side of Tuscarawas County is a town called Dennison. In Dennison is an old rail station that has stood for years until being turned into a now nationally registered historic landmark and museum. 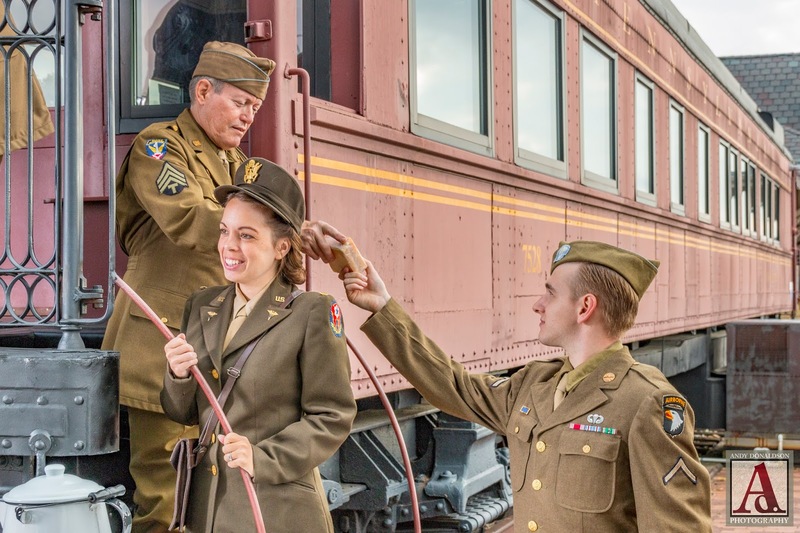 During WWII, the station was used for as a stop for troop trains traveling east filled with soldiers heading off to war. But something special happened at this stop. Members of the community began coming out in force, giving what they could, to supply a little bit of home style comfort for the troops heading off to the unknown. 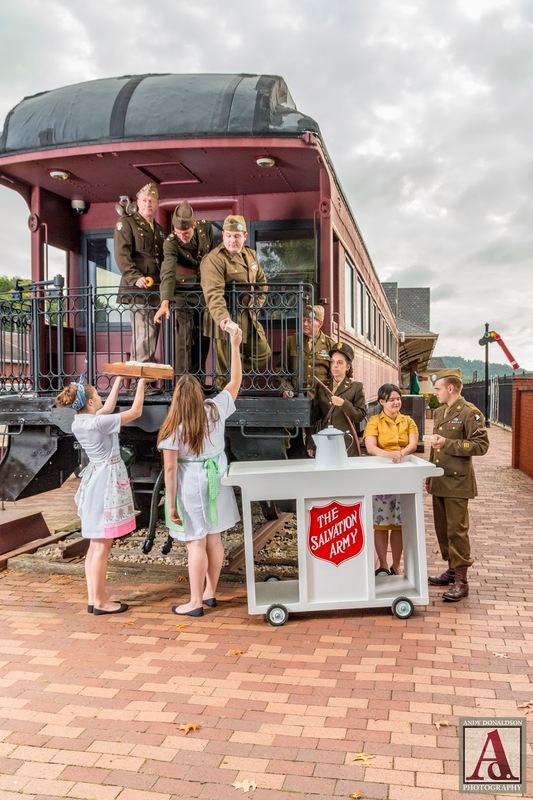 For the 4 years the canteen was in operation, 1.5 million US servicemen visited Dennison for some coffee, donut and a smile. So for the 2017 cover my boss wanted to capture that. Luckily, I had an ace up my sleeve for this. One of the things I wanted most for this shoot was authenticity. I didn't want to just have some young guys dressed in what looked like GI attire for the shoot. Luckily for me I knew some people. 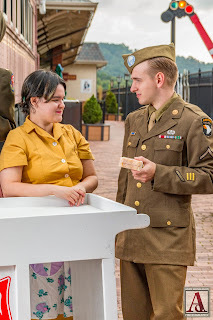 I've gotten to know historical reenactors over the years from taking pictures at several events and I have gotten to know that these folks strive for one thing. Being as authentic as possible. So I put out a call to one of the leaders of the group and explained to him the story that we were wanting to tell. He was all for it and put out the word to the group. With people lined up and a date set, we were ready for the shoot! One of the things I always try to do before a big shoot, and this one was no exception because of the scope of the project, is to visualize how I want the shot to look. There were a lot of variables to take into consideration. First, we were shooting outside. Second, it was morning so I had to be concerned with harsh lighting from the sun at an angle. Third, well, just about everything else that could possibly go wrong. I knew lighting was going to be a problem because the area of the train car we were using was going to be in the shade so I packed up my strobes and extension cords. I also knew I had never produced a shoot like this before, so I packed just about all the other equipment my had and we headed down to the location. When we got there, (myself and my always ready assistant and daughter, Molly), we got the light set up and started taking some test shots to try and zero in the lighting as best I could. We didn't have clear skies, but we didn't have heavily clouded ones either, so the lighting was a little "muddy". Meanwhile, the director and the graphic artist responsible for the cover design showed up and we went over a few last minute ideas. 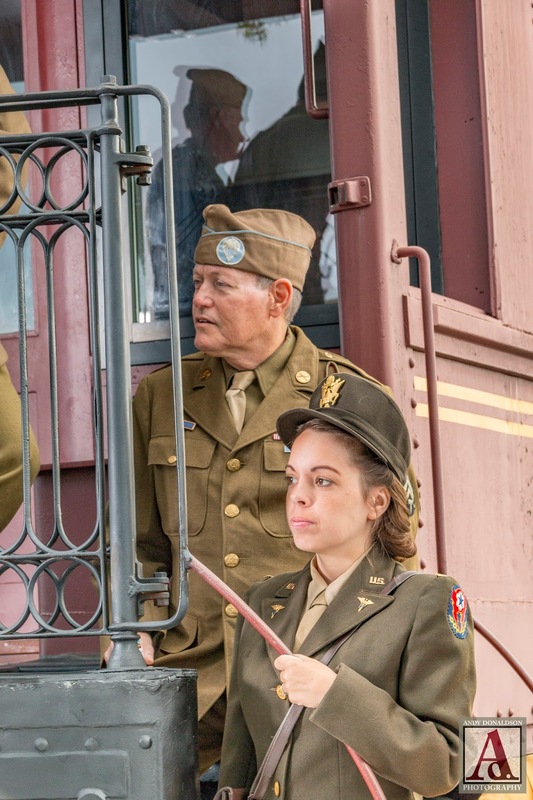 By that time, the reenactors showed up and it was go time. The museum also a few staff members dress in period clothes representing the locals that would come down to the stopped trains and provide the treats. I wanted to get this shot from several different perspectives and in the end the wide shot was used. Below are the images I took. Since the sky was so murky, he replaced that and then modified the image having it go from the modern in color image to a more sepia/black and white. In the end, getting the authentic nature of the people in the shot really paid off. Of all the images I've taken over the years, this truly is the most special to me as a photographer. I hope you find it that way too. 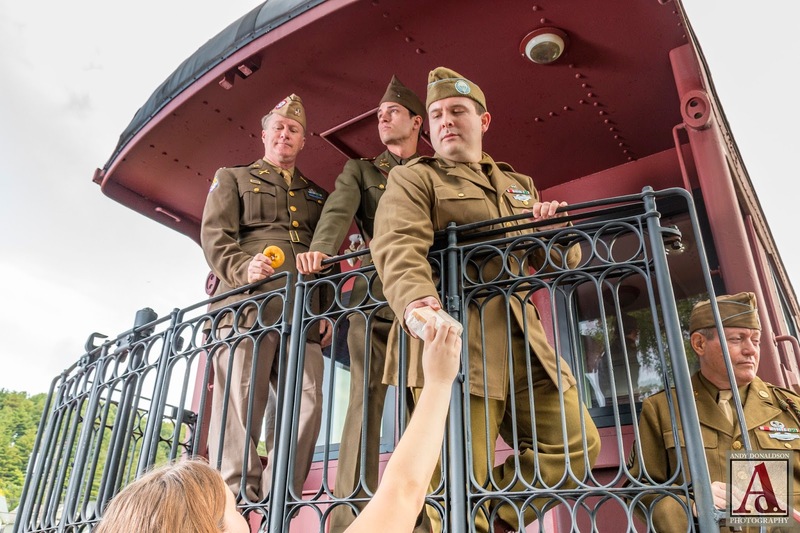 My deepest thanks to the 502nd PIR, Company B - 101st Airborne Reenactors for getting up early and coming out to help support this. Thanks to the staff of the Dennison Depot for their assistance with the space and the portraying the local volunteers. A huge thank you to Dave Ramsell for giving the image that extra magic to make it as awesome as it turned out. And of course, to Dee Grossman, Executive Director of the Tuscarawas County Convention and Visitors Bureau for giving me the opportunity to help mold her vision into reality.